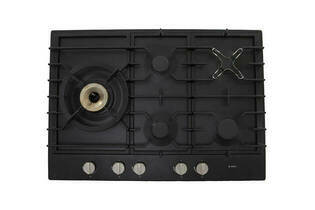 Snapshot: The Asko HG1776AD gas cooktop has 5 burners and flame-failure protection. How well does it cook? Good burner layout (wok burner on right side, medium and large burners at front, simmer burner at the back). Only four pots fit comfortably at once.